In a large saucepan over medium heat, cook the beef, garlic powder and pepper until meat is no longer pink; drain and set aside. Meanwhile, in a small bowl, combine biscuit mix and cornmeal; cut in butter. Add enough water to form a soft dough. 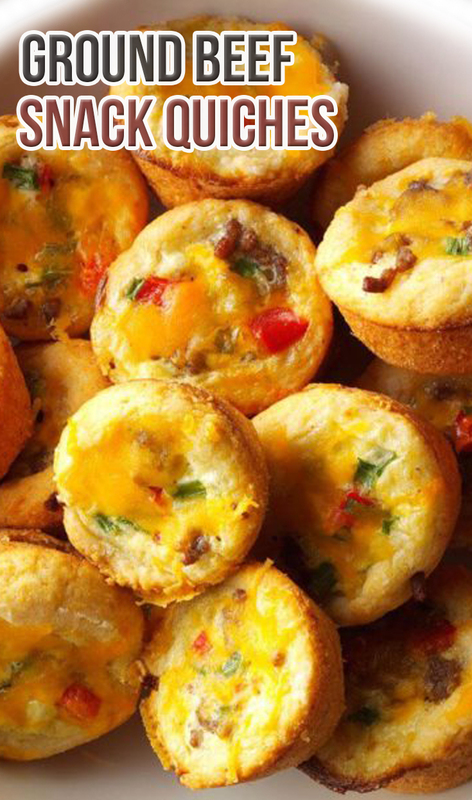 Press onto the bottom and up the sides of greased miniature muffin cups. Place a teaspoonful of the beef mixture into each shell. In a small bowl, combine the egg, cream, onion, red pepper, salt and cayenne; pour over beef mixture. Sprinkle with cheese. Bake at 375° for 20 minutes or until a knife inserted in the center comes out clean.